Dubai has a thirst to find new and creative ideas that develops scenes and inform its population. It hasn’t always been easy with such a transient population but things are changing – there are some people who have been planting acorns in the new metropolis. 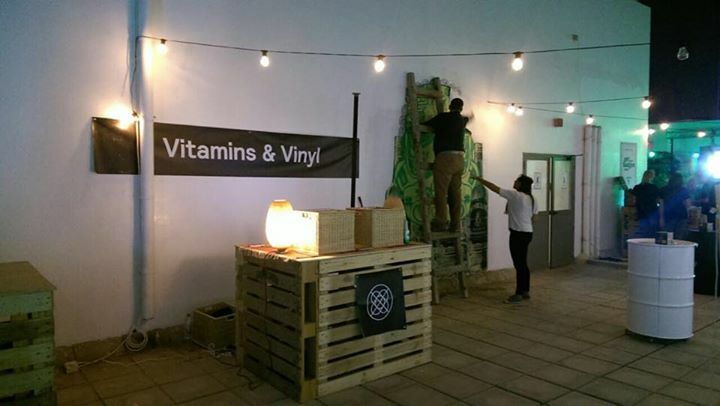 So meet the creators of Vitamins & Vinyl, a community focused vinyl record store based in Dubai. they personally curate the record selection and aim to facilitate a more musical culture in the region. FNND met up with the people behind the project to spin the ones and twos over a nice cup of tea to find out more. 1. Hello, so as you guys know, FNND likes Vitamins & Vinyl, why did you create it? 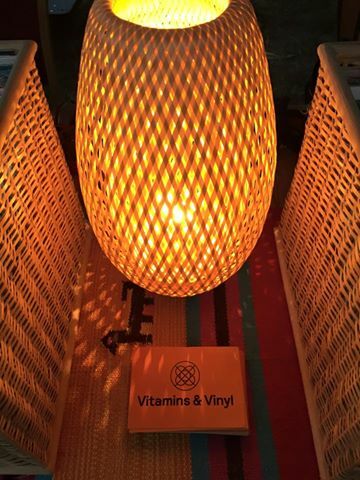 V & V: I miss music, real music, tangible music, talking about it, and listening to it, so we created Vitamins & Vinyl as a vehicle for us to get back into my love for music. There’s a big empty gap in the Gulf right now when it comes to the purchasing of good music. We’re hoping to give a helping hand in rectifying that! 2. Brilliant. How did your love of music develop and who were your influences? V & V: I would say in the eighties, listening to bands like Steve Miller Band whilst playing a mean tennis racket guitar under my chimney lights to a packed out crowd of mum, dad, brother, sister and cousins. Making my own tapings of mock radio stations, complete with adverts and all, fun stuff when you’re twelve. Not so much who – but what influenced me, I would say probably a late night music video show called RAGE in Australia. 3. It seems you got into music at the age of twelve. What’s playing right now on the turntable? V&V: I can’t stop listening to the new Soundway Records ‘Sound of Siam Volume 2 LP’. It’s just too damn good. Oh, and Pearl Jam, Ten. 4. Nice, what was your first album? V&V: Elton John, first vinyl album , my brother bought it for me as a birthday gift, ‘Rocket Man’! 6. Have you ever bought a record just for the cover art? What’s the most unusually packaged or designed record you’ve ever found? V&V: Oh yes, I do this all the time and have done for ages. I found some of my favourite artists because of this technique. 6. 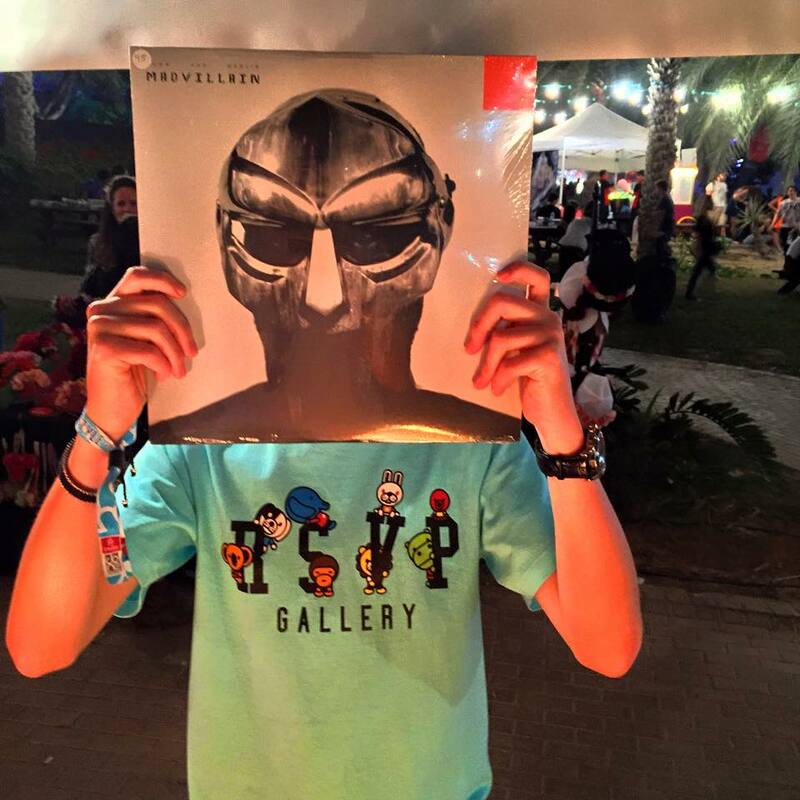 Where is the best source for decent vinyl in the Middle East? V&V: Vitamins & Vinyl of course. Plus there’s a guy in Bur Dubai next to The Astoria hotel thats been selling records for twenty plus years! Really interesting guy who’s obsessed with the fifties country singer Jim Reeves, in fact that’s pretty much all he stocks. 7. Chronological? Alphabetical? Genre? Or randomly arranged as you find it? V&V: I’m definitely the less organised ‘randomly arranged’ guy. 8. You both clearly like digging for tunes. What is your favourite record store? V&V: Redeye Records in Sydney. 9. Lastly. Do you think vinyl is here to stay and do you think the internet has changed record collecting?